“The restrictions on the Pension-led funding deal weren’t there to hinder, they were there to protect my investment as well." Every entrepreneur hopes their business will be a global success and ACWorldwide have taken their inspiration from a galaxy far, far away. Darth Vader may have found a “lack of faith disturbing” in the Star Wars movies but Karl Grimsey was convinced the company could play a starring role in a business success story. 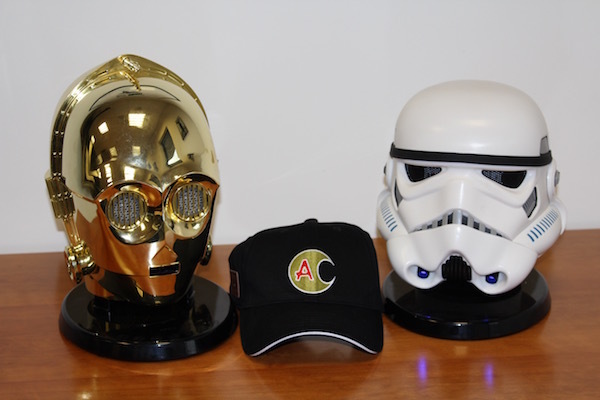 Episode VII: The Force Awakens stirred a dream to produce Star Wars-themed Bluetooth speakers aimed at the collectors’ market but Karl needed to form his own alliance to get the enterprise off the ground. Step forward Kelvyn Gardner who had been in the official licensed merchandise sector for more than 30 years, working on brands such as ET, Indiana Jones, Gremlins and Back to the Future. Kelvyn was keen to take the lead as chairman and raise a substantial amount of money. “Kelvyn raised the relevant start up cash and bought in other investors to really get things started. All I had to do was make them,” said Karl. Now the force is with them, in the form of official Disney and LucasFilm backing, markets are opening up and the first batch of 2,000 C-3PO and 2,000 Stormtrooper replicas have already sold. Pension-led funding became a willing ally as we helped set up a Small Self-Administered Scheme (SSAS) and a pension loan was made to the company secured by a general debenture. “If I hadn’t got the pension money I couldn’t have done it,” said Karl. “I was introduced to Alex Stavri at Pension-led funding and we talked about the possibilities and Alex saw the vision. It was simple. ACWorldwide has a small team based in Milton Keynes and a factory of 55 people assembling each of the £149 speakers in Guangzhou, China. Next up to be wired for sound is Darth Vader with Boba Fett and R2-D2 to follow. First ACWorldwide is targeting the global collectors’ market by linking up with Amazon and distributors in France, Germany and America. Another huge license is about to be announced that will mean ACW will release a further three new characters in 2016. Karl is also planning to grow his pension. He said: “I’m going to spend the next year to 18 months working to make a success of the business and then start pumping money into my pension. That will be good for me and the kids.